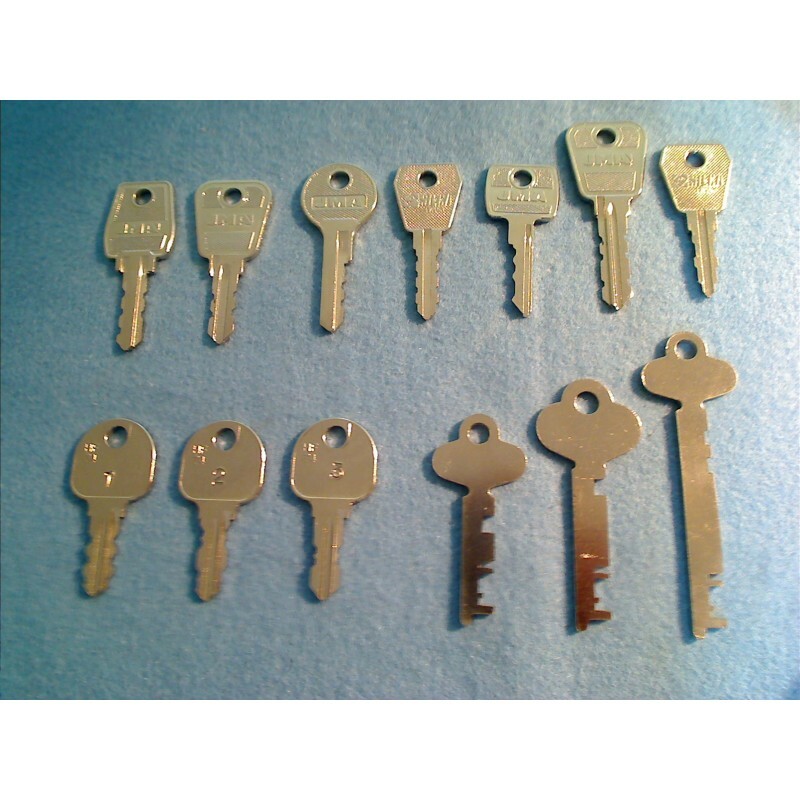 Set of 13 Master keys to cover the most popular Lowe & Fletcher and Halefe desk and locker locks. Set of 7 Lowe & Fletcher master keys in series: 35, 66, 70, 78, 92, 93 and 95. 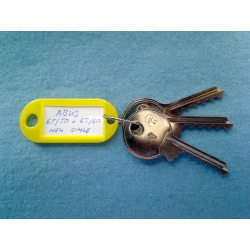 Set of 3 Lowe & Fletcher flat steel master keys. 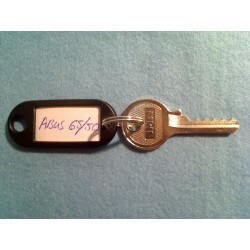 These are normally identified by a number on the barrel of the lock but is not always the case. The Lowe and Fletcher will have a serial number of something like 70XXX or 95XXX, making the two examples a 70 series key and a 95 series key, a 3 digit number normally identicates a 92 series lock, 92XXX. 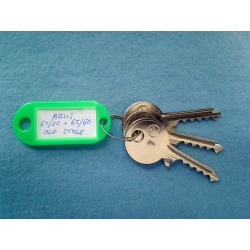 The Lowe and Fletcher flat steel lock will have a 4 digit number on the top of the keyway and then a Z to the left of the keyway and the remaining letter to the right of the keyway, giving you either ZA, ZG or ZL. The Hafele range will have a 4 digit number and then a number on its own, being a 1, 2 or a 3 on the barrel, making it a MK1, MK2 or a MK3 key which is needed.